Cool! 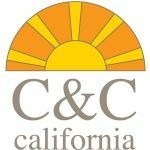 Save an average of 20% on C&C California with 36 Coupon Codes, and 11 Deals! C&C California is a designer apparel brand for women. It offers trendy dresses, chic tank tops, and fashionable bottoms. Consumers are fond of the design philosophy of C&C California and the reliable online payment process that has made shopping easier. Details: Enjoy 30% off any $100+ Purchase with Free Ground Shipping & Returns on Any Order Over $99! Details: Buy Two: Save 20% --OR-- Buy Three: Save 30% --OR-- Buy Four or More: Save 40%. Valid Through 4.28.13 or later. Details: Take 30% Off Your Entire Order, Ends 10/31/12. Excludes Private Sale. Details: 25% OFF new to sale Items + $5 FLAT Rate Shipping or FREE SHIPPING ($99 minimum) for U.S. orders. Offer valid through 6.23.13 at 3 a.m. EST. Details: Get Free Shipping On New Spring Styles purchase. Ends 2/22/2014. Details: 40% OFF SITE WIDE with code CCMEM40 at checkout AND FREE SHIPPING for orders of $99 or more for a limited time. Some exclusions. Details: 20% off New Arrivals. Details: 20%, 30% OR 40% OFF SECRET SAVINGS on full price merchandise through 9.27.12 or later + FREE SHIPPING for orders of $99 or more; some restrictions. Details: 20% Off All Orders + Free Shipping over $99. Expires on 10/05/2013. Details: 30% OFF for a limited time with promo code: CCNOON30 at checkout. Details: Save 40% on Select C&C Sport Styles + Free Towel Bag with Purchase + Free Shipping over $99. Ends 2/22/2014. Details: Shop New Markdowns + Free Shipping over $99! Expires on 03/02/2014. Details: Take an Additional 50% Off Final Clearance + Free Shipping over $99. Ends 2/22/2014.